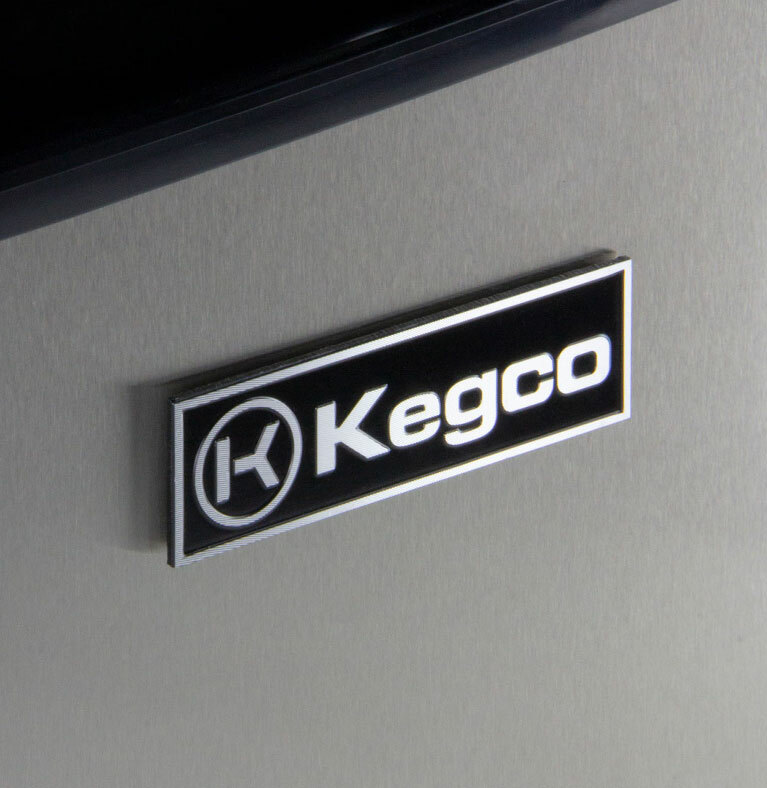 Kegco's KOM163S-1 Commercial Grade Single Faucet Kombucha Kegerator sets a new precedent for quiet and efficient beverage dispensing, powerful enough to withstand constant use in restaurants yet refined enough to use in a home or office setting. The freestanding black cabinet has a recessed handle and sleek stainless steel door that can be made to swing open in either direction. This kombucharator features a three-sided chrome guard rail for resting drinks, an easy to clean drip tray, and rolling casters that lock in place. 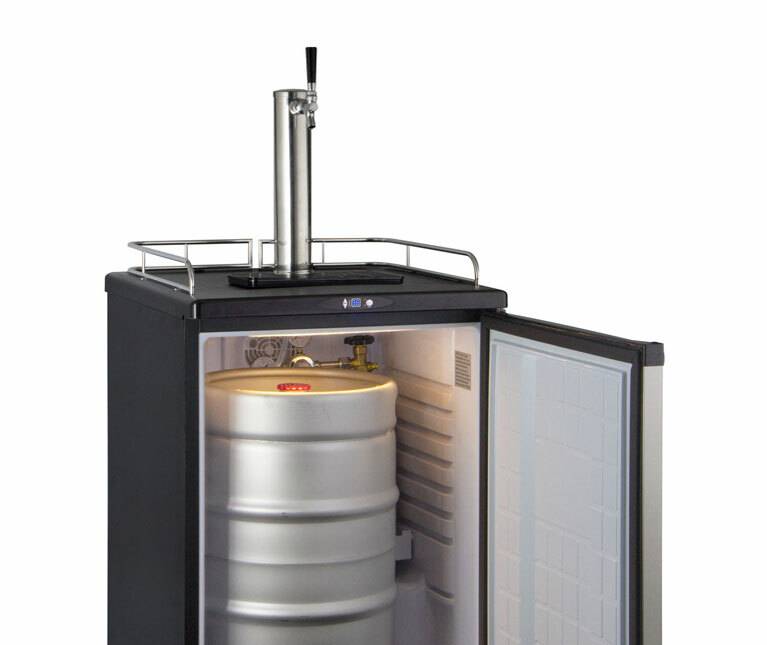 The KOM163S-1 kombucha dispenser has the space to accommodate one full size, pony, or quarter slim keg, two 5 gallon commercial kegs, three ball lock kegs, or two pin lock kegs in its 5.8 cu.ft. interior. The steel interior floor mat disperses keg weight evenly and makes it easy to load and unload kegs safely. When you're not storing or dispensing fermented tea beverages, this kombucha refrigerator can be converted to a regular all-refrigerator using the three wire shelves included. With one of the widest temperature ranges of any kombucha dispenser on the market, the internal temperature can be precisely adjusted from 32 to 72 degrees Fahrenheit via the digital control panel with LED display. A fan-forced cooling system pushes cold air evenly throughout the interior, keeping 'buch' at the ideal temperature for serving and storage. 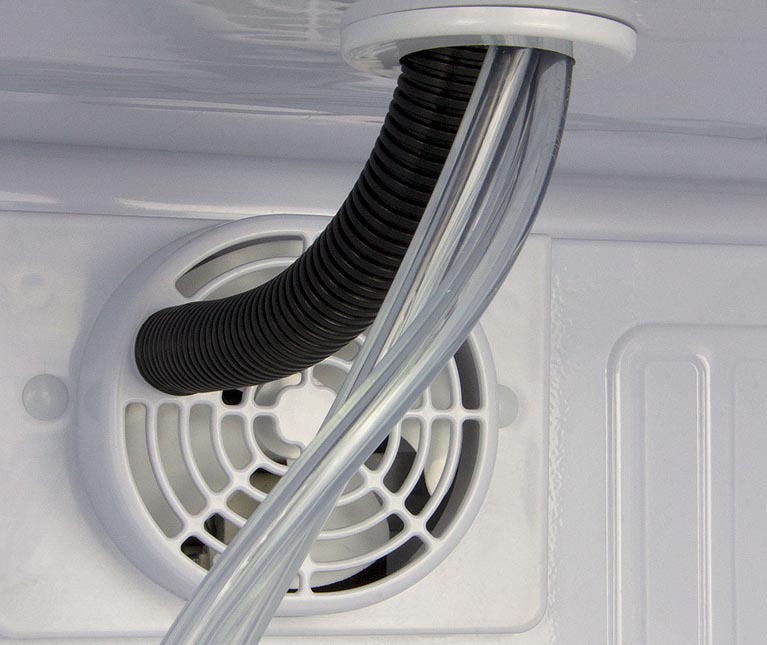 Cold air is also sent into the stainless steel draft tower to prevent foaming issues when dispensing. 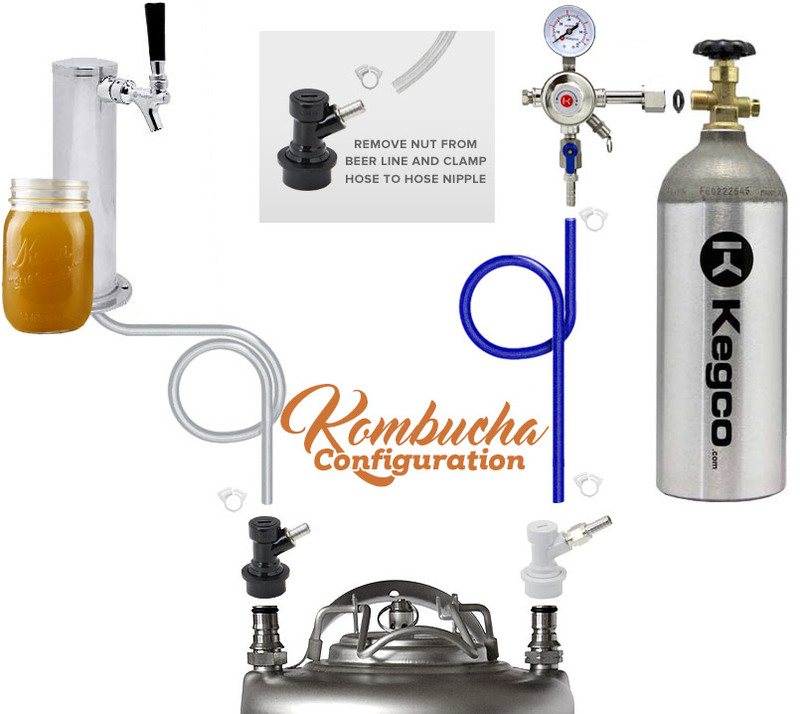 This kombucha dispenser comes complete with all of the equipment you'll need to begin dispensing fermented tea beverages as soon as possible. The one tap draft dispense system includes a single faucet dispense tower with one faucet, an empty CO2 cylinder, a regulator, and a set of ball lock keg couplers.